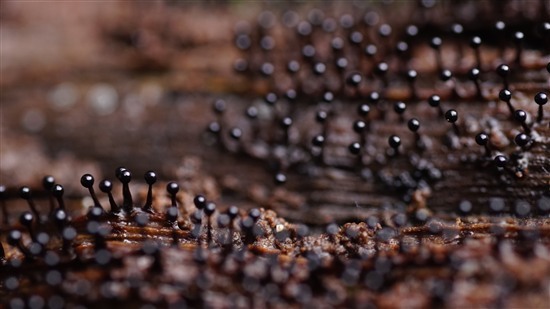 Worldwide there are over 900 species of slime moulds. The one below is metatrichia floriformis found at RSPB Leighton Moss. Slime moulds come in every colour, except true green. This is due to a lack of chlorophyll. This alien-like species, metatrichia floriformis, was found at RSPB Leighton Moss by Nature’s Home reader Tamar Bennet Margrave. What an amazing photo, the focus really shows how this slime mould can spread and the habitat in which you could find some. It's inspired me to learn more and I've grown some love for this slimey specimen.Thanks for sending this one in Tamar. If you’ve got an interesting photo you’d like to share send it to natureshome@rspb.org.uk and you could have your pictures published on our blog or in magazine.